Advocate Annie McCullough is a maven of reinvention with a serious social conscience. Drawing on her previous roles at Dell, Orchard Recovery Centre and Edgewood Health Network, Annie combines her background in project and event management with her passion for recovery. As co-founder of FAVOR Canada, Annie has worked tirelessly to empower the recovery community at a grassroots level. FAVOR’s advocacy efforts have helped lead and support Recovery Day- a national celebration held yearly in September- growing from 2 cities in 2012 to over 30 cities in 2017. She also serves on the National Recovery Advisory Committee, promoting awareness of recovery from addiction, based on evidence from research and experience in the recovery movement. As a person with lived experience, she inspires others with her energy and enthusiasm, embodying hope for those who struggle with addiction. 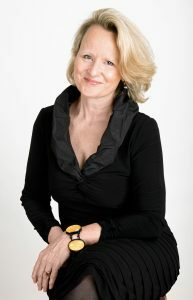 Ann is the bestselling author of Drink, The Intimate Relationship Between Women and Alcohol, recently released across North America, in Australia and the UK. Her book combines in-depth research with her own personal story of recovery. Co-founder of the National Roundtable on Girls, Women and Alcohol, Ann is a seasoned advocacy journalist. Winner of five gold National Magazine Awards, she has focused on public policy for the majority of her career. 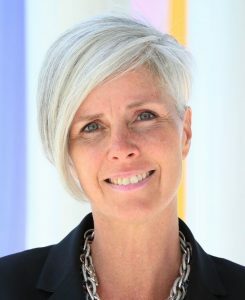 As the chief architect of the Maclean’s rankings of Canadian universities, she wrote extensively on the need for re-investmeent in higher education. As the 2011 Atkinson Fellow in Public Policy, she focused on women and the rise in binge drinking, making a case for major public policy initiatives. Ann, who has also served as vice-principal of McGill University (development, alumni relations and strategic communication) and as CEO of the Pine River Foundation, is currently writing her next two books and speaking across North America. A passionate ambassador for effective social change, Lisa works to challenge and break down the stigma around addiction and create awareness. She shares her story, her heart and her transformation to help others find their path to recovery. As National Communications Director for Fresh Start Recovery Centre and co founder of FAVOR Canada, her passion and communication skills have helped shape the direction of Canada’s recovery movement. She coordinated the Recovery Day Canada for three years and has been part of bringing Recovery Day to Calgary since 2013. As an Ambassador with the United Way in both Calgary and Toronto, Lisa speaks to organizations- educating their employees about addiction and recovery. Rand has worked extensively with teens for the past 45 years, helping them understand the effects of substance use. He holds a B.A, a B.Ed, is an Internationally Certified Prevention Specialist, and a CCAC (Canadian Certified Addiction Counsellor). Rand is the developer of the Drug Class program (http://drugclass.ca) and the writer and host of the Award Winning Drug Class TV Series. 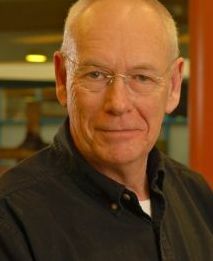 He currently sits on the Board of SAFI, the Saskatchewan Addictions Foundation Inc., as well as the National Recovery Advisory Committee for the CCSA, and is a past member of the Board of the Canadian Addiction Counsellors Certification Federation. With 46 years of continuous sobriety and a highly decorated career, Rand is a sought-after speaker on substance abuse prevention, treatment, and recovery.